Stylist Randi Poillon modeling the glitz and glam style of the holiday season. The holidays should be rich in both food and fabrics. We’re talking velvets in jewel tones, knit sweaters and accessories that do the heavy lifting. As a Capital Region stylist, Poillon has been working with men and women over the last several years to help sort out their wardrobes, bringing in things they actually want to wear and styles that work with their body type. This season, perhaps more than ever, she’s seeing athletic-wear with breathable fabrics take over the stores and styles. One fabric that seems to be everywhere is velvet. 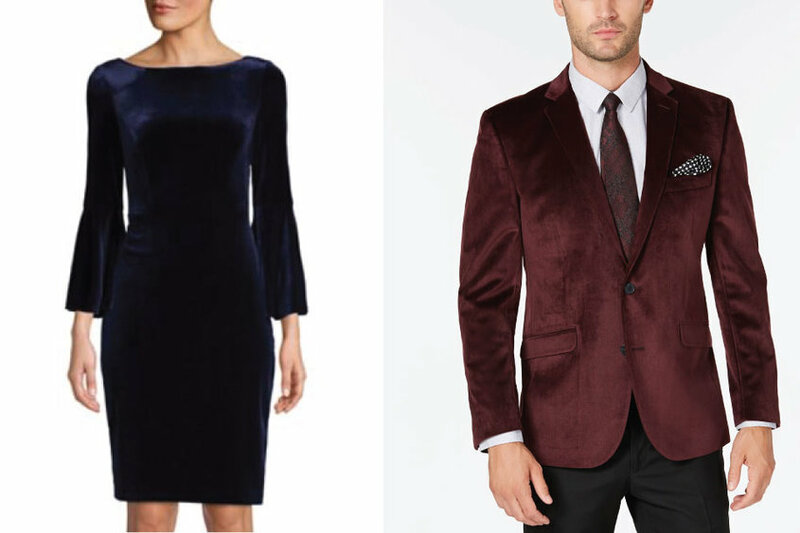 A velvet dress from Lord & Taylor, and a velvet coat from Macy's. “There are no boundaries [when it comes to velvet],” Poillon said. It used to be the fabric of kings and queens, but now it’s the fabric of the people. With its soft hand, slight stretch and lightweight feel, it’s an easy fabric to incorporate into a wardrobe. Women can weave it into their accessories; with velvet scarves or velvet bracelets. Or they can go all out with a velvet dress, jacket or jumpsuit. For men, there’s the bold full velvet sports coat. Or they can opt for velvet mules for a more toned-down look. Beyond velvet, thoroughly layered looks are in for men. Cardigans on top of button downs, paired with a scarf and nice belt. “Gucci belts are all the rage right now,” Poillon said. Typically, these are slim black leather belts with gold detailing the initials “GG.” There are plenty of belts that play off of that same design but cost less than the nearly $500 that an authentic Gucci belt costs said Poillon. For a classic and forgiving holiday look, women can opt for a sweater dress, layered with a denim shirt dress and paired with detailed tights, and tall boots. “You can feel like you’re wearing a blanket, but you look good,” Poillon said. 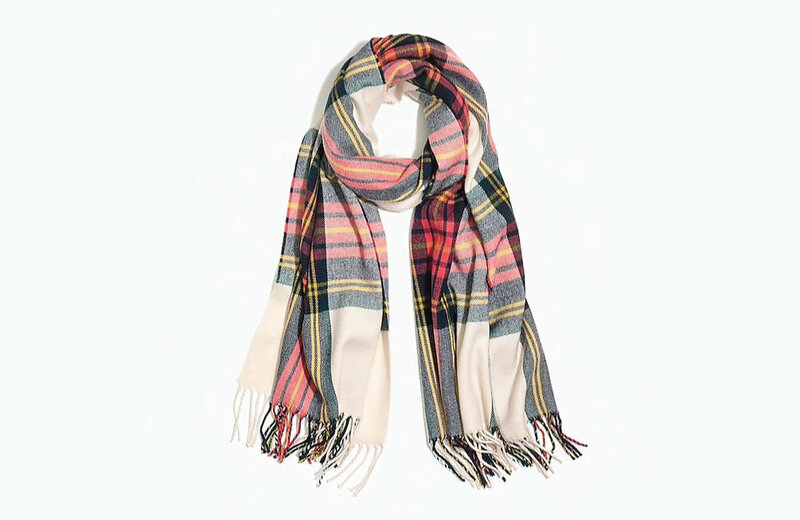 You can also opt for a blanket scarf, which, as the name suggests is an oversized scarf. Layer it on top of a lightweight long-sleeved shirt and you’ve got a look that’s warm and stylish. For those looking to take a walk on the more wildly styled side, there’s room for a bit of experimentation. “This is the time to take chances,” Poillon said. It’s not only acceptable but encouraged to go for the unexpected this season. Pairing mesh and leather or a bold color with delicate jewelry. You can still be comfortable with these more daring looks; maybe pairing an oversized sweater with faux leather leggings. Or take it a step further because glitz and glam are back in for holiday styles for women, said Poillon. Think gold lame, lucite heels, and bold dresses. However, even when going all out, it’s perfectly acceptable to put comfort over style this season. In fact, it’s what’s in style.